Local and visiting Black choreographers and dancers gather for a three-day festival featuring new and unfinished works. Courtesy Alan Kimara Dixon Chanel Bibene and Chris Evans are among the Black Choreographers Festival performers. The Black Choreographers Festival takes place August 26–28 at the Laney College Odell Johnson Theater, 900 Fallon St., Oakland. $10-$50. BCFHereAndNow.com for details. Abrupt, forced laughter pierced through the air of the Malonga Casquelourd Center for the Arts in downtown Oakland. It was the kind of belly-up laughter that begins as a soft, rolling churn in the pit of your stomach, then slowly builds into an uproar — an infectious, harmonious laugh track by a duo of voices. The choreographed laughter belonged to Alexander Brown and Patricia Ong, rehearsing an excerpt from Angst, a contemporary dance piece choreographed by Kendra Kimbrough Barnes. Although Brown and Ong were the only dancers present at last week's rehearsal, the completed piece will feature four dancers who will perform as part of the Black Choreographers Festival Summer Series, which takes place August 26–28 at Laney College's Odell Johnson Theater in Oakland. But don't be fooled: Angst is not a humorous piece. Rather, it's about anxiety — specifically, anxiety as it manifests in the Black community. "It really is a reflection of the events we're in, particularly looking at young Black males and the way that they are having to walk through life right now," said Barnes. "We've been having lots of conversations about that, the persona and the rules that are imposed upon the way in which they walk... and the anxiety that they feel just in walking out the door or walking through a room." 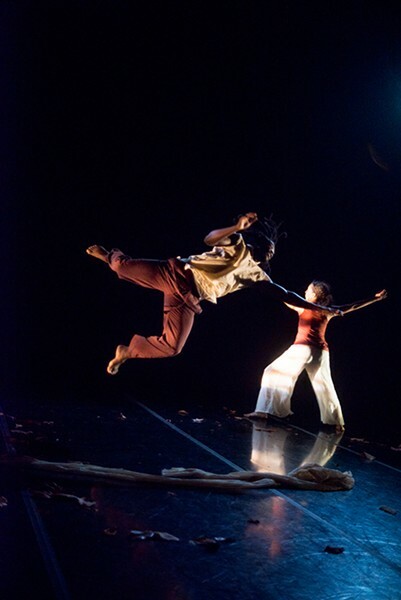 Barnes, a co-founder of this weekend's Black Choreographers Festival, noted that "creating a safe community of dialogue and nurturing" is one of the key goals of the program. 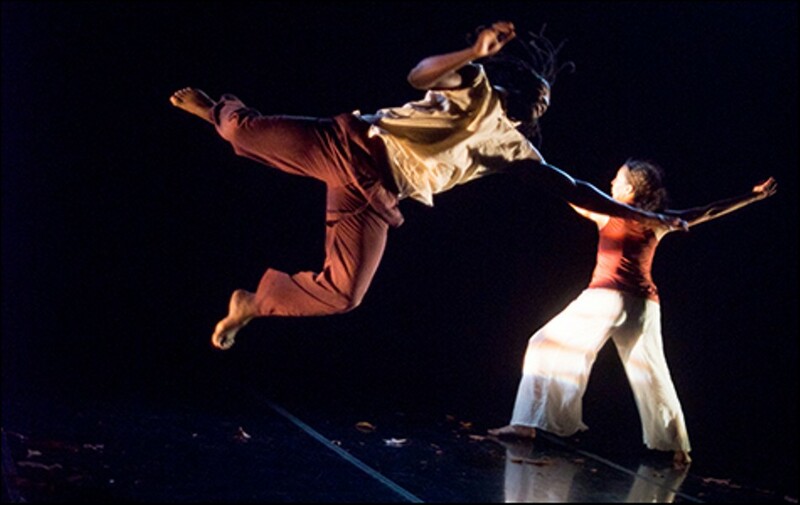 The BCF, an annual festival established in 2005 to showcase the work of Black choreographers in and out of the Bay Area, usually takes place in February in conjunction with Black History Month. The upcoming performances will be BCF's first Summer Series. "Having it outside of February is a way to represent African-American choreographers in the Bay Area," she said. "We don't just have programming in Black History Month — it's much greater than that." The scheduled programming features an extensive showing of pieces by East Bay and non-local talent. Oakland-based Gregory Dawson, artistic director of dawsondancesf, will premiere a fascinating gender-defying piece entitled Altered Larynx, inspired by countertenor and castrato voices from throughout history. Oakland's own Dimensions Dance Theater, under the direction of Deborah Vaughan, will preview an in-progress excerpt from part two of The Town on Notice, the follow-up to the highly-regarded part one, which premiered last fall. As Latanya Tigner, who choreographed the piece with Colette Eloi, was quoted in the BCF press release: "The Town on Notice is about Oakland itself. We are interested to explore the city at this moment of rapid gentrification. Through movement that emanates from the spine and resonates in the feet we call upon the ancestors of the place to rise up and respond." Part two of The Town on Notice isn't set to premiere in full until spring 2017, but the ability for artists to bring unfinished works to the stage is one of BCF's unique selling points. "One of the great things about the festival is that we don't necessarily curate what artists bring to the festival," said Barnes. "We give them freedom to bring what it is that they're inspired by at the time, and what they're working on." Dimensions Dance Theater, dawsondancesf, and Barnes' own Kendra Kimbrough Dance Ensemble will perform on Friday and Saturday, along with Chris Evans, Byb Chanel Bibene, David Boyce, Antoine Hunter's Urban Jazz Dance Company, and Pat Taylor's JazzAntiqua Dance & Music Ensemble. "For Friday and Saturday night, all of the pieces are greatly reflective of the state that we're in, in an informing way," said Barnes, referring to the social and cultural state of the Black community at large. Sunday's program takes a different approach — instead of reflecting on issues of the past and present, it looks toward the future, with a showcase featuring pre-professional youth dance companies. Among those are Culture Shock Oakland, Mkail Movement, New Style Motherlode's Diamond and Sparkle hip hop dance teams, On Demand, Sweat Contemporary Dance Company, and Justin Sharlman in a solo by Erik Lee. "The youth is going to be great energy, and a different kind of energy," said Barnes. Back at Barnes's Angst rehearsal, the laughter was subsiding. Gina Breedlove's clear and determined voice flowed through the studio speakers: This is a song about coming together / This is a song about how / Word I am word and I know how to serve / This is a song about now. The song spoke to love and healing, free of complicated metaphors and symbolism. But Brown's movements told a different story: he contorted his body, shaking and jumping in place, spinning in circles, struggling to extend his reach into the empty air around him. He ran backward around the dance floor, settling into a hesitant leap forward and landing short. Barnes turned off the music. She joined Brown on the floor and guided him through the fluid movements, standing parallel to him as he mirrored her body. "Be firm in yourself," Barnes said to Brown. "If you're not ready for the jump, don't do it." Brown tried the section again, running backwards at full speed, then leaping confidently into the air. At that point, it was clear: The Black Choreographers Festival is about more than fine-tuned and polished performances. It's about giving the Black dance community a platform to learn from and collaborate with one another — the ability to leap forward even in times of anxious and uncertainty.